A luxury car maker into PC business, the BMW Group's DesignworksUS which already has experience with the world of computers with products and designs like Thermaltake Level 10 Mouse, Siragon and now gone ahead and collaborated with Taiwanese company ASRock to launch the M8 compact gaming PC. BMW already has this beautiful car by that name. Lets hope the M8 PC is as beautiful!!! The engineers at Designworks USA have given a special emphasis is on the design and construction of the M8 a la BMW style. It has been specially designed to be carried to LAN parties thanks to the handles on its sides. The sides of the computer are also partially transparent, giving onlookers a view of the motherboard and the under-the-hood components. The PC has been designed so that it can be placed in both vertical as well as horizontal positions. Modification is possible thanks to the magnetic side panels that can be removed for quick access to the hardware. Under the hood, M8 boasts of Intels 4th generation processors with a Creative SoundCore 3D quad core processor. It will have a 16GB of RAM and a dual slot graphics card along other mandatory requisitions of a PC like Wi-fi, Bluetooth etc. But what makes it different from other PCs is that this one has a dubbed A-Command. The A-Command sits in front and acts as a multi-functional control button with an integrated OLED display. It shows a bunch of information, thus removing the need for an extra monitor. The knob shows information such as status of usage, heat, date and time. The BMW M8 will cost you $499, which is roughly Rs.29000.00. So if you expect the BMW sophistication PC this is it. 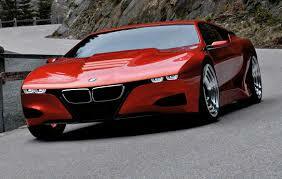 Just hope that the M8 is as sleek and beautiful as its namesake.